I can't help thinking of a crème brûlée being the epitemy of French desserts, while it's actually a Spanish invention called crema catalana. Si! 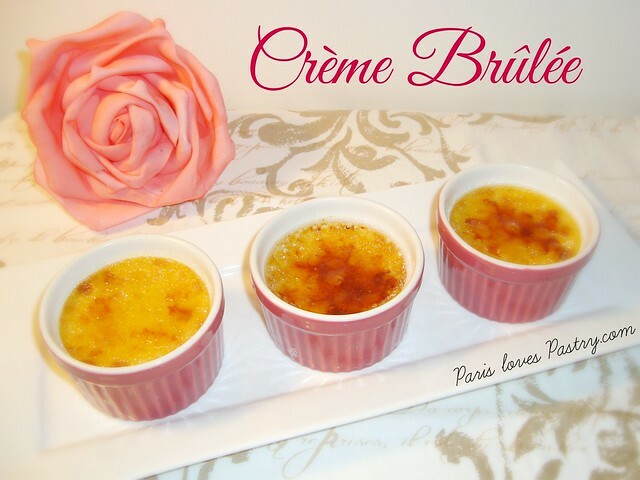 I've tried various crème brûlée recipes over the years. The trick is to bake it for 10 minutes longer than the recipe recommends (for around 50 minutes), otherwise the custards doesn't set enough in the refrigerator. I also prefer white sugar over brown sugar for the topping. Brown sugar tends to form lumps on the surface when serving flambé. This is my favorite recipe though, it doesn't call for whole milk - just double cream all the way! Rating: 5 out of 5. - Preheat oven to 300 degrees. - In a small saucepan, combine cream, vanilla bean and seeds, and 3/4 cup granulated sugar; place over medium heat, stirring occasionally, until bubbles start to form around the edges of the pan. Do not boil. Remove from heat and set aside. - Whisk egg yolks in a large bowl; while whisking constantly, slowly add hot cream mixture to egg yolks. Continue whisking until smooth. Strain custard mixture through a fine-mesh sieve set over a large liquid measuring cup; discard solids. - Place six shallow 7-ounce ramekins in a roasting pan; transfer roasting pan to oven. Fill each ramekin to the top with custard mixture. Add enough hot water to baking pan so that it comes halfway up the sides of the ramekins. Bake until custard is set and trembles slightly when shaken, about 40 minutes. - Remove ramekins from water bath and transfer to a wire rack; let cool for 30 minutes. Transfer ramekins to refrigerator and let chill for at least 4 hours and up to 3 days. - To serve, sprinkle each ramekin of custard with 1 tablespoon remaining granulated sugar. Using a kitchen torch held 4 to 5 inches from the surface, melt sugar using a slow and even motion, until sugar is caramelized. Serve immediately. The allure of crème brûlée, French for burnt cream, is in the textural contrast between the brittle caramelized topping and the smooth, creamy custard beneath. Delish! What a pretty presentation. 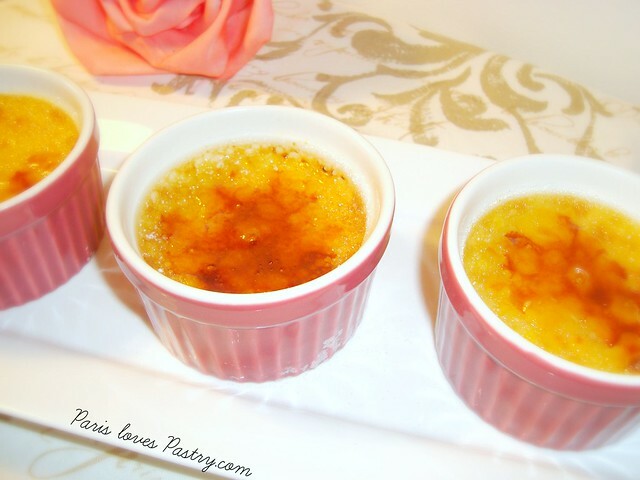 I never used to like creme brulee, but I came around to it recently! Yours looks delicious! Thank you for the useful tips! I should try to make these some time.